On St. Patrick's Day in 1968, sixteen people sit in Pat's Tavern, drink green beer, flirt, rib each other, and eventually go home in (mostly) different directions. In the stories that follow, which span 1958 to the present, Richard Wiley pops back into the lives of this colorful cast of characters--sometimes into their pasts, sometimes into their futures--and explores the ways in which their individual narratives indelibly weave together. At the heart of it all lies Tacoma, Washington, a town full of eccentricities and citizens as unique as they are universal. The Tacoma of Tacoma Stories might be harboring paranoid former CIA operatives and wax replicas of dead husbands, but it is also a place with all the joys and pains one could find in any town, anytime and anywhere. Richard Wiley is the author of eight novels including Bob Stevenson; Soldiers in Hiding, winner of the PEN/Faulkner Award for Fiction and the Washington State Book Award; and Ahmed's Revenge, winner of the Maria Thomas Fiction Award. Professor emeritus at the University of Nevada, Las Vegas, he divides his time between Los Angeles, California, and Tacoma, Washington. 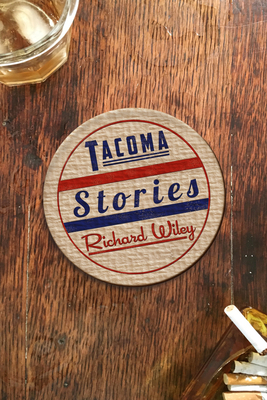 Richard Wiley is the author of Tacoma Stories and eight novels including Bob Stevenson; Soldiers in Hiding, winner of the PEN/Faulkner Award for Fiction and the Washington State Book Award; and Ahmed's Revenge, winner of the Maria Thomas Fiction Award. A graduate of the Iowa Writers' Workshop and professor emeritus at the University of Nevada, Las Vegas, he divides his time between Los Angeles, California, and Tacoma, Washington.